In the image above, we see my Pi 3 in the red box. Notice the USB cable out to the DAC (which is "Unconnected!" of course since the power is pulled) is plugged into the upper left USB port (if you're wondering). The power supply for the Pi 3 is the same "freebie" FujiFilm branded switching 5V 1.0A supply that came with an old digital camera years ago that I used in the ODROID-C2 measurements. For convenience, I'll just use the most recent piCorePlayer 3.02 streaming from my Logitech Media Server (recent 7.9.0 nightly build) computer down the gigabit ethernet to the Raspberry Pi 3 (remember, unlike the gigabit ODROID-C2, the Pi 3 is only capable of up to 100Mbps) and then the rest of the chain is as described above. As usual, what is important is to check the analogue output of the DAC and make sure there's no evidence of excess noise or distortion. Also, we'll have a look at the jitter test measurements. As you can see, I'm using the same DAC with the Pi 3 (piCorePlayer) and ODROID-C2 (Volumio) using the same switching power supply. 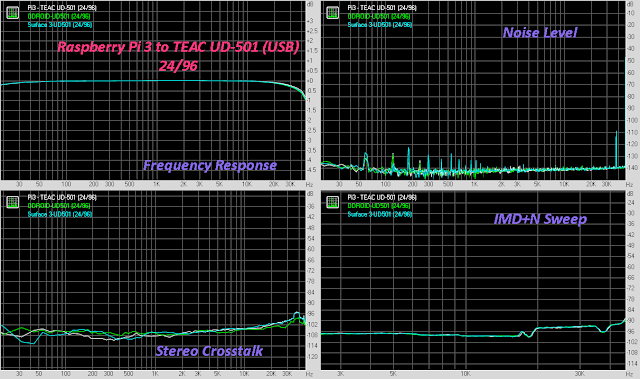 The Microsoft Surface Pro 3 (foobar) computer is also feeding the TEAC UD-501 by USB, running on battery playing the test signals. No significant difference at 16/44 demonstrated. Anyone spot any difference they think would be audible? Results are rather self explanatory! 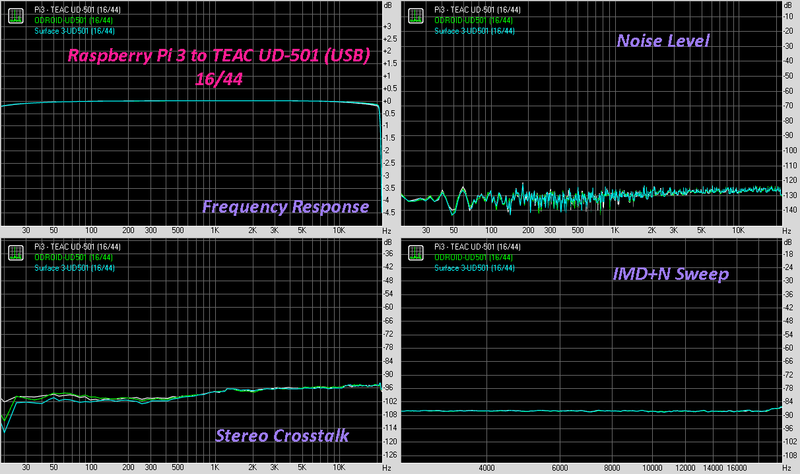 Nothing to worry about and all three devices result in the same analogue output from the TEAC USB DAC. Nothing much to see, but there is a tiny sideband pair visible with the ODROID-C2 that's not there in Raspberry Pi 3 although the low-level "skirting" may have been less with the ODROID. In any event, I cannot imagine this making significant audible difference way down there in the noise floor. The Raspberry Pi 3 playing to the USB DAC is indeed "clean"; as in just as noise-free and "bit-perfect" as other computer-based servers sending to a good asynchronous DAC (no surprise and further discussed here last summer). It sounds great to me and I would not be able to tell a difference between the Pi 3 or ODROID-C2, or Surface Pro 3 sending the audio through ASIO. Maybe the only difference between the machines would be the hum of the Surface computer's internal fan on a quiet night with very low ambient noise in the sound room. Furthermore, there is no objective difference of significance to be found with the RightMark tests using 16/44, 24/96 and 24/192 signals. As for the time domain, there is no evidence of any difference between devices tested using the Dunn J-Test signal that would have any audible impact. May I also remind everyone that this is all with an inexpensive switching power supply... No noise of significance even with the 192kHz test beyond the audible spectrum. I think it would be nice if the believers in linear power supplies can show some evidence that noise can be significantly improved at the DAC output since the cost of linear power supplies can be many times that of a Pi 3! Lower clock speed --> less power use --> less CPU noise --> better sound! 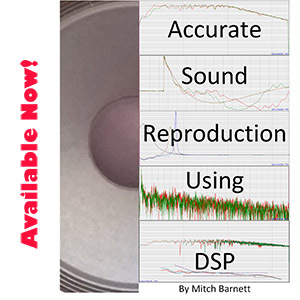 Better aligned clock speeds --> less random & periodic jitter --> better sound! Less power use --> less strain on power supply --> less noise & jitter (cuz it's like that) --> better sound! This will underclock your Pi 3 to 800MHz (from 1200MHz), slow down the DDR2 memory to 400MHz (from 450MHz), downclock the graphics core to 400MHz and GPU specifically to the lowest amount at 300MHz because you won't need it, and minimize the amount of memory the GPU can see to just 16MB. Notice the CPU:RAM speeds are an integer 2:1. In fact internally the memory access is doubled to 800MHz; so essentially 1:1. Integer multiples are good, right? No nasty fractional harmonics :-). In all seriousness, have a good listen to these CRAAP optimizations; you might be pleasantly impressed with how well they bring you closer to the "absolute sound". I've been using these settings for most of the last month with rock solid stability running 24/7. To close off (very seriously now), I think it's worth highlighting one of the great things about objective measurements. Results, when done right, can be easily replicated with excellent precision. Notice that in the RightMark results, we do see small variations but the values are typically <1dB at the extremes like below -100dB noise floor among the machines using the same DAC. This is the kind of inter-test variability I've seen over the years. It's easy to pick out what DAC is being measured as each one has its own unique RightMark signature, noise floor, or "digital filter composite" graph when I measure them. Furthermore, those ODROID-C2 and Surface Pro 3 measurements were done almost 5 months ago compared to the Raspberry Pi 3! How often have you seen subjective reviewers try to compare the sound of devices based on memory and admit that such comparisons are based on recall from a remote experience? If a reviewer listened to a digital streaming device or DAC 5 months ago, and is now reviewing another device, are we to have faith that for a high fidelity device, a reviewer's perception would be so acute as to not only reliably detect differences, but also be reliable in holding on to that memory for recall months later? I can honestly and humbly submit that I would not have such "golden ears" nor have the memory to recall with any certainty... I'm quite sure that normal, rational people would agree with that generalization. What more to say? 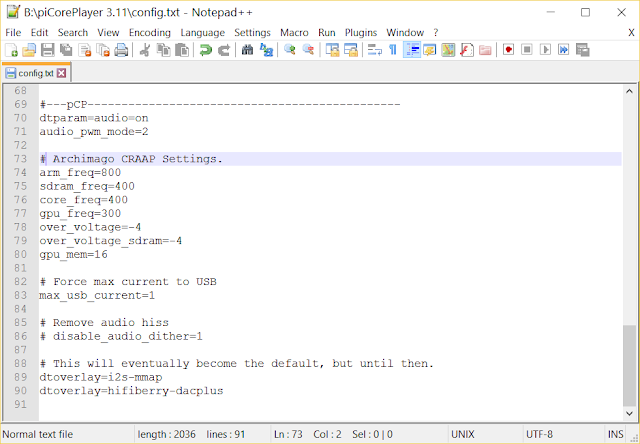 Raspberry Pi 3 users, enjoy your DAC fed through the USB port. Sounds good to me and certainly measures the same as both the ODROID-C2 and Microsoft Surface Pro 3 connected to an asynchronous DAC. In other news, I see that MQA has capitulated and will be releasing software decoding, announced at CES 2017 (this is exactly what I suggested back in April 2016 even though it will compromise their claim of "end-to-end authentication" since the DAC will not be specifically MQA-approved). Apparently it'll be available with Audirvana Plus 3 coming late January for Mac and TIDAL "Master" software playback will start immediately (about time). Not surprising that they've decided to proceed down this route after >2 years since the big initial announcement. I guess they finally realized that folks aren't going to run and buy a new DAC just for MQA. 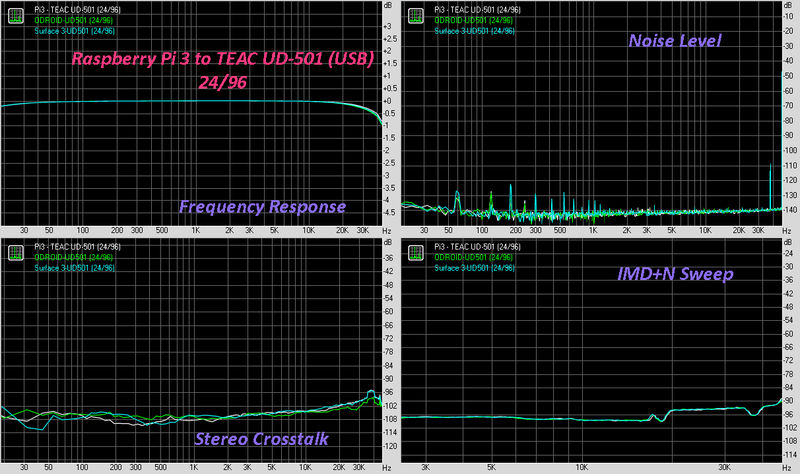 It looks like software decoding will upsample the 44/48kHz stream to 88/96kHz to present to the DAC. IMO this is totally fine since I don't see any point in 176/192kHz. I'm curious to see how they're going to spin the idea that the hardware/firmware variety of MQA will "sound better". They must do this, otherwise who will bother buying MQA hardware? And what manufacturer will bother spending money for licensing if there's no perceived public value? Finally, it looks like the music industry is still trying to convince people that their typically loud, over-compressed to the point of clipping music, or old analogue remasters are worth spending money on in "high resolution"... Honestly, are you guys in the music industry actually making decent money off the extra effort? I wouldn't be surprised if the balance sheets look pale if not red. There comes a time to honestly reconsider what one is doing and what is the truth. No, it's not that I think high-resolution is totally useless, rather, it's hard to hear the difference unless done right. Put the money into promising mainstream artists and start producing recordings worthy of the "high-resolution" moniker that the public cares about. Then sell and educate the people when there's something worthy of their hard-earned dollars (especially given the premium charged for these downloads). Hanging out at trade shows putting on a brave face, promoting already ubiquitous hi-res capable hardware when there's barely any decent hi-res media, and throwing money at the advertising side is pure window dressing over an essentially empty shell. Sure, keep throwing money at it, but in my opinion failure is inevitable when there is no substance. Whatever the Industry does, the music plays on with tons of great stuff out there. Hope you're all enjoying the music! It's a fantastic time to be a music lover and audiophile... And it's all getting less expensive when you hear what devices like the Raspberry Pi 3 can do. 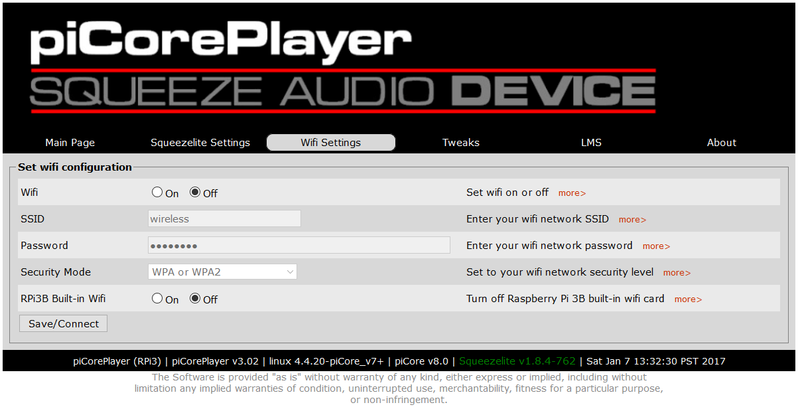 PS: Forgot to mention that the Pi 3 + piCorePlayer + CRAAP™ works well and sounds great as a Roon endpoint/streamer. 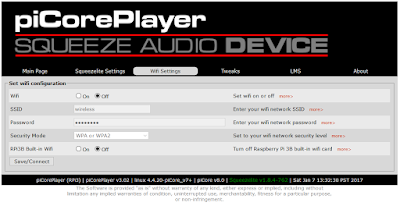 Just turn on "Enable Squeezebox Support" in the settings and make sure any instance of LMS is turned off in your network. I have not looked at the Linux variants in Volumio, RuneAudio or Archphile but I assume similar CRAAP config can be done for these DLNA/UPnP streaming software options. Why not use and measure the Raspberry Pi 3 as a pure Roon endpoint, using the Bridge software (RAAT as the network transport). This is great new technology worthy of a few data points! 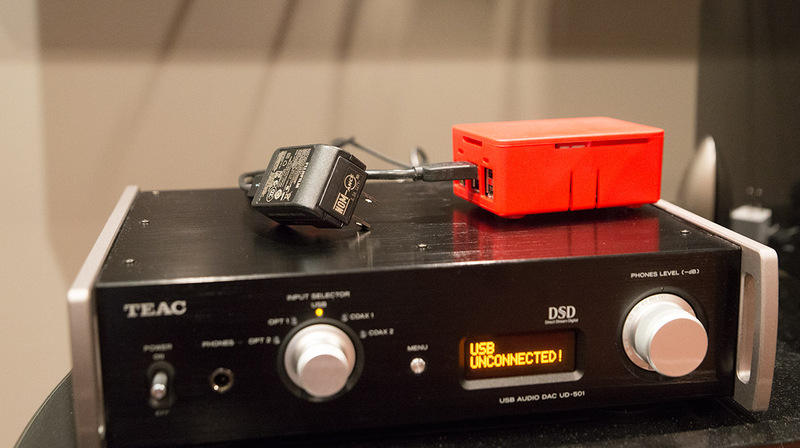 or a Hifiberry Roon image that I am sure would have no issue with a USB DAC too. Yes. I have measured the Pi3 / Roon Bridge endpoint already using DietPi for a very clean install. That will be forthcoming. Hint - it's good :-). Thank you very much Archimago! I really appreciate you answering to a "nobody". I also liked the humor. On another note, you've saved me so much money and have given me peace of mind when it comes to cables, bits are bits, and USB Audio. I really hope karma exists, because you have bucket loads of good karma coming your way! Hi JX. A pleasure man. I don't know about the karma part :-). But doing this is also just as much for my own peace of mind and satisfying my curiosity after years of being an "audiophile" with the usual ideas promoted out there. With the advent of easy access to knowledge on the internet, ability to connect with others for ideas and tips, as well as technology available including inexpensive hardware and open software, the time has come that we can find answers ourselves when it comes to mature technologies like audio. Not just on the level of "give it a try" as some would advocate - it's impossible to try everything! Rather on a more fundamental level of "objective truth" beyond experiential idiosyncrasies and subjective biases. To understand WHY things are or are not and have the data to back up one's position with clarity of mind. Glad to share the peace of mind. Cheers. Another excellent article, Archimago! I really enjoy reading your articles. I don't use a Pi but I do employ a NUC/JRiver/Dirac. Would the CRAAP parameters apply to this configuration as well? No, you will not be able to use the CRAAP settings. Those are specifically for the Raspberry Pi 3. 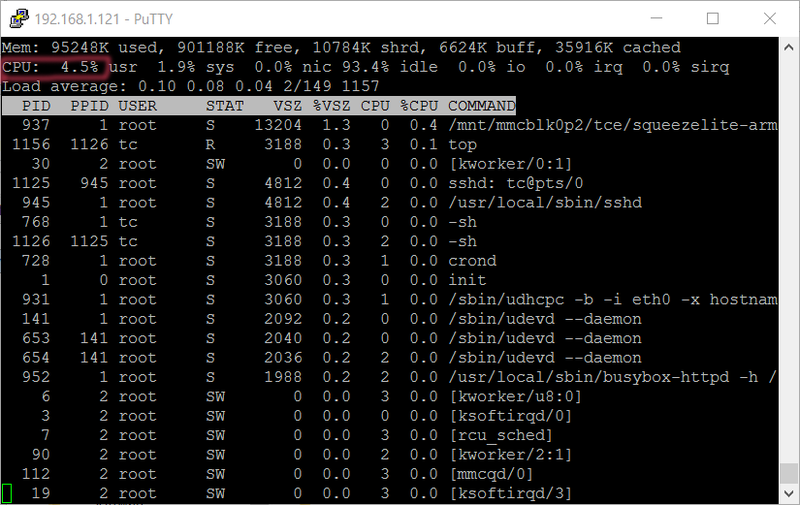 When the Pi computer boots Linux, it uses those default configs sort of like how the BIOS or modern UEFI applies overclock/voltage settings in the PC world. In comparing a HP x2 1011 with JRiver versus the Pi running MPD, I get good results just with 16/44... anything with higher resolution is poor on my Pi. Curious, what software are you using for the Pi? Is it a Pi 3 with one of the common packages like Volumio, RuneAudio, Archphile or is this a generic install you have of MPD? I've tried Volumio and RuneAudio extensively over the last few months (ODROID-C2 earlier this year, and last 3 months Pi 3). Hi-res no problem at all and sounds great. Hi-res should not be an issue at all compared to a Core M hybrid HP. That's great. Essentially all Debian-based OS'es for the Pi should use configs like this. I can also say that DietPi, with which I run my Roon Bridge has the same configuration system. You got to wonder though given the obvious interest in this post and number of hits I'm getting on this from around the globe... Why are the commercial magazines *not* running tests and articles on topics like this which obviously interest audiophiles and computer audio enthusiasts?! I'll bet its got something to do with "Money". I wouldn't bet against you Cut-Throat :-). Thank you for sharing your data. Have you looked at the effect of using the kali card in your rpi stack? This is a buffer that intends to re lock the i2s signal. +1. I recently purchased the Kali + Piano 2 DAC and this sounds better to me than the Hifiberry DAC Plus Pro. It would be great to in/validate this subjective impression with measurements. I would also like to understand why an external reclocker would be theoretically better than a DAC board which has a built-in clock. Allo claims that the clock crystal in the Kali is somehow superior. Honest question, from what I can see I would NOT hear a difference between a straight Pi and a Chromecast Audio correct? Thanks for putting to bed another potential cause of audiophilia nervosa, Archie. I've been using a RPi 3 as a Roon Bridge for months and it sound great. Reading all the hype elsewhere about the likes of the Micro Rendu device (plus expensive psu) does rather baffle me when you can get essentially bit-perfect performance for a fraction of the price with a Raspberry Pi. Good thing you're here to fight the good fight and edumacate those willing to listen. Please keep it up! Excellent blob posting. Thanks so much for your knowledgebase. Watch this ladies & gents! Until reading this post I had believed my Dragonfly Black sounded better on my MacBook Pro than on the RPi 3. Do you think it would be worthwhile for me to move my media from one of the RPi USB ports over to a network device? Perhaps running multiple USB devices is a problem? (I'm running Volunio and use an iFi power supply btw) Thanks! So much hub-bub being made about basically low power SBC machines like *Rendu. IMO the sonic claims are just hot air with no evidence at this point that the theories around noise or timing/jitter are of any significance. The guys advertising are free to say what they please (so long as not outright fraudulent claims if they know for a fact that they're promoting lies)... As consumers, we need to be wise and make sure to our engage critical thinking skills of course. I stumbled upon your blog after Googling for some online evidence to support the claims of a certain YouTuber from the Netherlands. Very insightful and relevant. Thanks. In all seriousness, the nub of the problem is that those with a tendency to CRAAP wouldn't admit that a £100 investment can possibly sound as good as it does. I'm sure they would sound so much better they came in black anodised cases! Yup, black anodized, one-piece aeronautical-grade aluminum :-). Essential! As usual, we must all consider the evidence or lack of it and come to terms with what we choose to believe. While I have no doubts that the hobby will always have those *desperately* desiring to eek out the very last drop of performance (or what they might view as improved sound quality no matter how unlikely), hopefully as a group, "audiophiles" will be more rational over time... Learning to be satisfied when thresholds of audibility have been reached and indeed exceeded by reasonably priced devices. I was wondering what the CRAAP settings for Pi2 would be, given the slower CPU/GPU speed. What do you think about the below settings? I'll test it shortly as my Digi One has arrived yesterday. How'd it go? I have a Pi2 that I'd like to optimize. It's running ropieee. Would your settings still apply? Al! Very interesting but puts me in mind of the early days of cd when a lot of the big manufacturers insisted that they all sound the same because they all measure the same, but anyone who actually listened to them could hear huge differences. I built an elaborate linear psu to power a cheap dac after noticing huge differences with two different types of switched mode psu. I got a third party to do an A/B test without telling what was going on and it was as evident to them as it was to me that the linear psu was by far the best even though it was 6 times the size of the dac. I just bought a pi3 and it's feeding my Arcam rDAC over USB, with a Jitterbug in between. Running Roon on a PC and RoPieee on the pi. Sounds good but looking to make improvements. I've read an argument that the pi2 will sound better because the pi3 has WiFi and Bluetooth, which will cause noise... Any thoughts on that? Or can those be completely turned off? I find that under voltage gives me muddy bass. Anyone else share the same outcome?